Share the post "Album Review: CRYSTAL PALACE – The System Of Events"
The history of rock music is peppered with great albums – but the ones that truly sit in the Pantheon of iconic albums are those which have that one defining track, that spark of genius that makes it better than just great. Obvious examples are ‘Stairway To Heaven’ (Led Zep 4), ‘Firth Of Fifth’ (Selling England By The Pound), ‘Child In Time’ (In Rock), ‘All Right Now (Fire & Water) and so on. You get my drift. Now I’m not saying that ‘The System Of Events’ falls into the ‘iconic album’ category, not yet anyway, but it has got that one track that takes this album into the ‘must-listen’ classification. 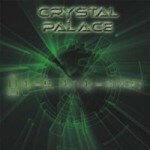 Crystal Palace are a German progressive/art-rock band from Berlin who have been around for some time honing their chops and advancing their songwriting skills which has led to this little gem – their sixth studio album. Sounding to these ears very similar to label stablemates RPWL (no bad thing, RPWL are one of the finest progressive rock bands around) with a smattering of Hogarth-era Marillion, Pendragon, Arena and, ubiquitously, Porcupine Tree, ‘The System Of Events’ is an eight track progressive rock tour-de-force. Very much set in the present, the band are not only unafraid to tackle the big issues of the day such as the Breivik killings in Norway, the school shootings in America and the Fukushima disaster but are also able to get up-close and personal with people’s everyday trials and tribulations of love and loss. The aforementioned highlight of what is an exceptional piece of work is both the closing and title track of the album. ‘The System Of Events’ would be a standout track on any progressive rock album – it’s that good. The band knew what they had as well, roping in Colin Edwin (Porcupine Tree) and Yogi Lang and Kalle Wallner (RPWL) to add their talents to the thirteen minute epic. Giving the band’s take on the Fukushima disaster, the track builds in intensity to the anthemic chorus with some incredible guitar work then cuts unexpectedly to a series of news reports detailing the tsunami and its aftermath layered over acoustic guitar and keyboards before cranking up for the big finish. Staggering stuff. The whole album is a top-notch effort – much thought has gone into both the subject matter and the music to produce a magnum opus of colossal proportions with exceptional musicianship throughout – taken still further by that monumental title track. This entry was posted in ALBUM REVIEWS, ALBUM REVIEWS (Mobile), All Posts and tagged album, Crystal Palace, Progressive Rock, review, RPWL, The System Of Events. Bookmark the permalink.